Mazarrón’s up and down form continued in January and early February. 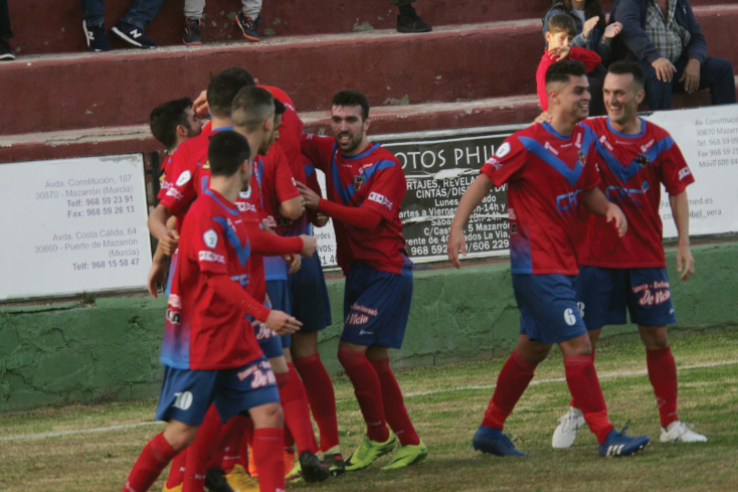 After the two excellent away victories against Pulpileno and Huercal-Overa, Mazarrón came back from a goal down to draw 1-1 at home to CD Minera despite having captain Adrian Campoy sent off. The following week saw a poor performance away to local rivals Olimpico de Totana. Mazarrón took the lead in the first half and were totally in control of the game. 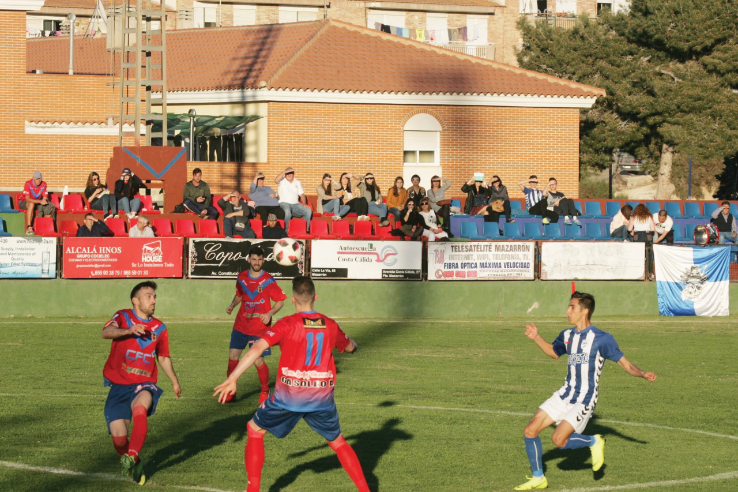 The home team had a player sent off early in the second half, but instead of pressing home their advantage, Mazarrón sat back and were punished when Totana scored a late equaliser. 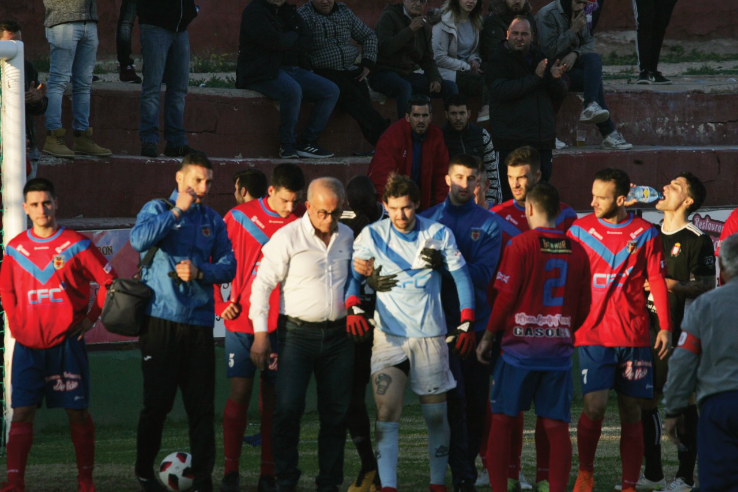 The unbeaten run in the New Year ended when Mazarrón were outplayed and well beaten by league leaders Yeclano Deportivo at the Estadio Municipal. Mazarrón took the lead with a goal from Nacho, but thereafter were always second best and Yeclano ran out comfortable winners 3-1. 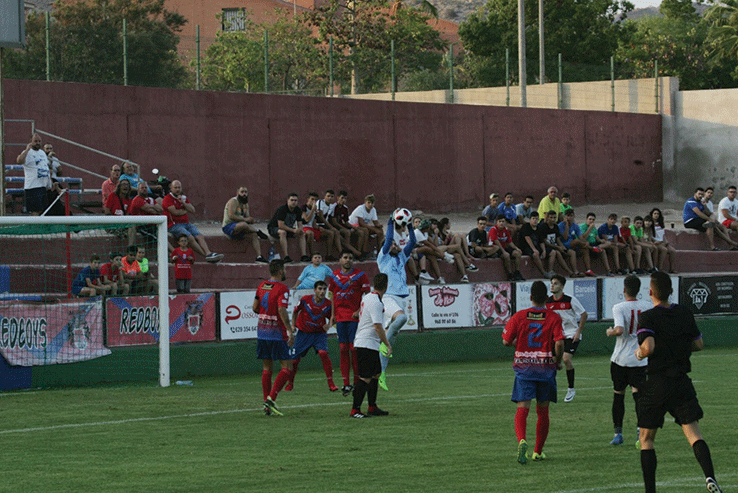 The following week Mazarrón travelled to lowly NV Estudiantes de Murcia and, despite another poor performance, came away with a 1-0 victory thanks to a late strike from new signing Randry. Goalkeeper Juan Cruz, who has been signed as back-up to Antonio Pena, made his first appearance for the club in this game and kept a clean sheet. 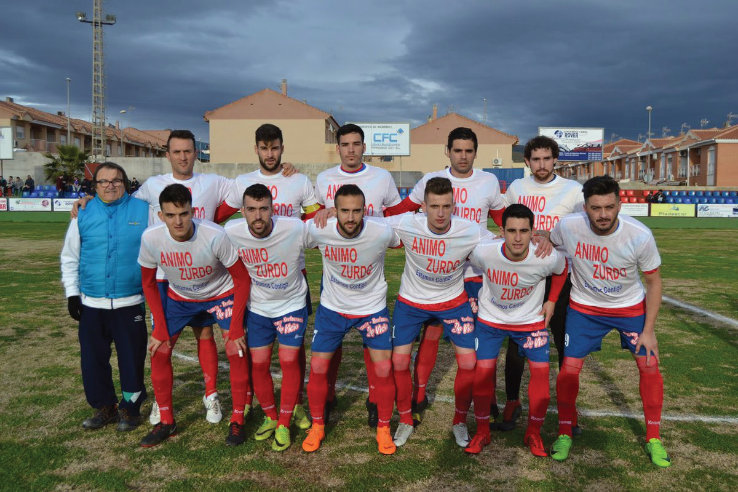 As mid-February approached, Mazarrón were ninth in the league table, still with an outside chance of a play-off position, but the strength of the squad was being tested week after week with a number of suspensions following the team’s poor disciplinary record. In addition, popular left back Zurdo was ruled out for the rest of the season with a serious knee injury. 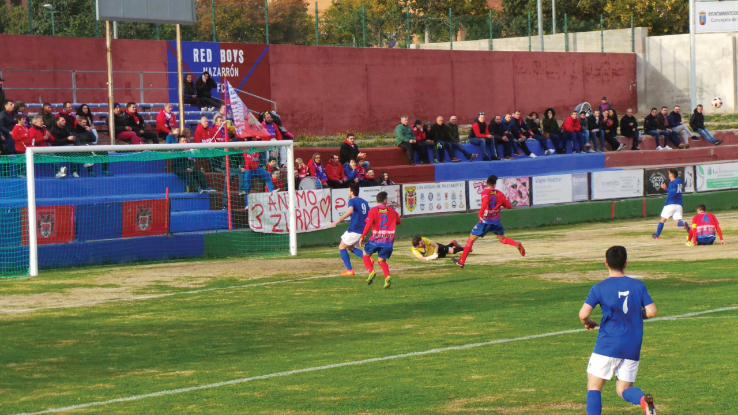 Mazarron’s home games are normally played on Sundays and Los Amigos de Mazarrón FC organise a supporters’ coach to most away games at €10 for members and €12 for non-members For longer journeys a stop is often made en route for refreshments . Full details of all games, dates and kick off times are advertised in the local media, on www.mazarronfc.es, on Facebook fb.me/mazarron2016 and on posters at various points throughout Camposol and Mazarrón. 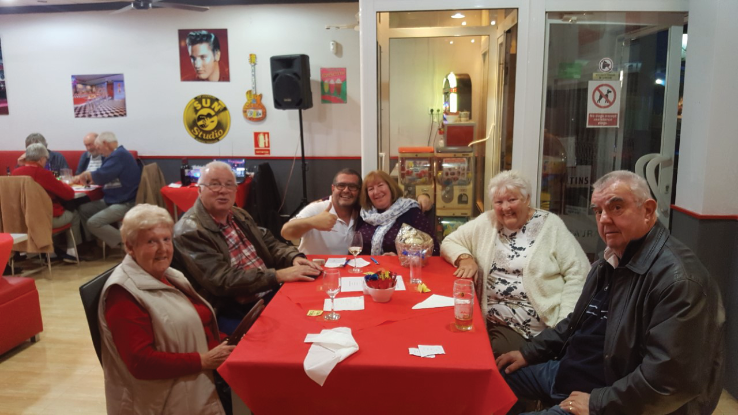 The Quiz Night at The Diner Camposol B on 30th January was a great success. Carl Thomas presented a Quiz which tested the knowledge of our members and friends. The team captained by Los Amigos President Alan Lyle were the winners with Martin Vale and Bill Davis’ team second and Brian Wyle’s team third. Thanks to Sue and her staff for looking after us so well and, of course, to Carl Thomas. At the time of writing we are just a few weeks away from our major event of the year when sporting celebrities from all over the UK will be here for the Los Amigos de Mazarrón FC Gala Week celebrations. Race Night on Saturday 23rd March at The Club House, Camposol. The event is being sponsored by Camposol Property Sales, so thanks to Lee Fisher for helping us to secure this sponsorship and we look forward to a long and successful relationship. First race is at 7.30pm. Admission is by ticket only at €8 for Los Amigos members and €10 for non-members, which includes a Race Card, entry into a lucky draw and an English style buffet supper. On Sunday 24th March Mazarrón FC are at home to SFC Minerva, kicking off at 5pm. 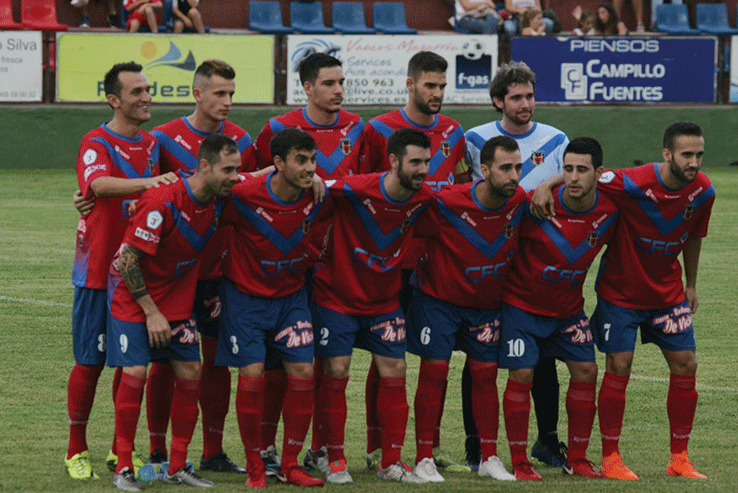 Most of the visiting celebrities will be flying into Spain that morning and Los Amigos have organised a special lunch for them and Los Amigos members at La Sienna Restaurant, next door to the football ground before the game. A coach will be provided to take members to and from the game. Many of the visiting celebrities including Alex Stepney, Dave Bassett, Steve Daley, Tony Currie, Alvin Martin, Steve Kindon, Peter Reeves and Gary Marshall will be taking part. Alvin Martins’ team will be defending the trophy they won last year. Leading Premier Referee Mike Dean will also be playing in the Golf Day representing Condado de Alamo. Thanks to Andy and Angela Skinner of Tramway Financial Management who will again be sponsors and to Shirley Fisher of Shirley Fisher Legal & Financial Services for all her help in the smooth running of this valued sponsorship. 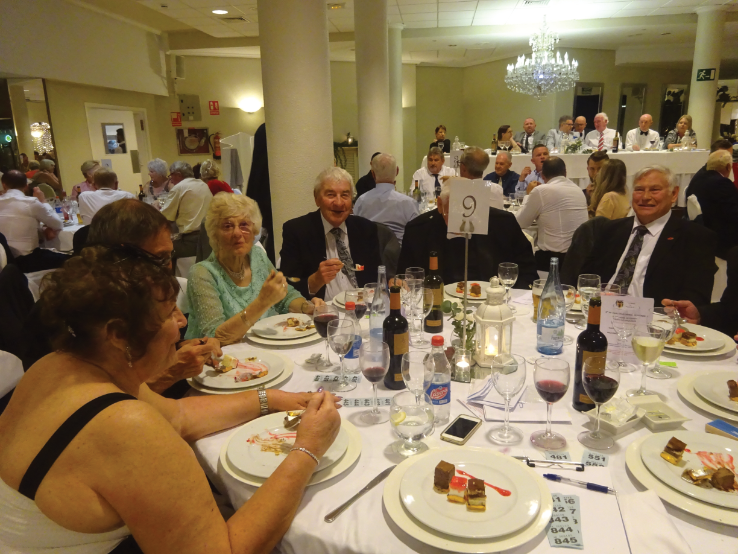 The 10th Gala Dinner at Hotel la Cumbre on Tuesday 26th March which is being sponsored by Ibex Insurance and The Club House. Camposol. We are extremely grateful to Ibex and to Stuart and Colin at Camposol Club de Golf for their fantastic support over the years. 220 people will fill the magnificent banqueting room for what is sure to be another memorable occasion; ‘Ten legends for Ten Years’, with ten football celebrities attending with 4,000 league appearances between them; four full internationals and a player who was transferred from Wolves to Manchester City in 1979 for what was then a record English transfer fee. Dave Bassett, who was our first ever guest speaker back in 2010, is one of only four Managers who have guided the same club from the lowest rung of the Football League to the highest.